These terms and conditions ("Terms and Conditions") apply to, Tulip International Sdn Bhd (1228773-X), and all of its divisions, subsidiaries, and affiliate operated Internet sites which reference these Terms and Conditions. “Tulip Hijab” means Tulip International Sdn Bhd, a company incorporated in Malaysia under registration number 1228773-X and having its registered address at at C-11-2, Jalan Serai Wangi L, 16/L Seksyen 16, Alam Avenue 2, 40200 Shah Alam, Selangor. By accessing the Site, you confirm your understanding of the Terms and Conditions. If you do not agree to these Terms and Conditions of use, you shall not proceed. The Site reserves the right, to change, modify, add, or remove portions of these Terms and Conditions of use at any time. Changes will be effective with no other notice provided. Anything that you submit to social medias and/or provide to Tulip Hijab, including but not limited to, questions, reviews, comments, and suggestions (collectively, "Submissions") will become our sole and exclusive property and shall not be returned to you. In addition to the rights applicable to any Submission, when you post comments or reviews to the Site or other social medias, you also grant us the right to use the name that you submit, in connection with such review, comment, or other content. You shall not use a false e-mail address, pretend to be someone other than yourself or otherwise mislead us or third parties as to the origin of any Submissions. We may, but shall not be obligated to, remove or edit any submissions. You agree that any comments you made will not violate any right of any third-party, including copyright, trademark, privacy, personality or other personal or proprietary right. You further agree that your comments will not contain libelous or otherwise unlawful, abusive or obscene material, or contain any computer virus or other malware that could in any way affect the operation of the Service or any related website. You may not use a false e-mail address, pretend to be someone other than yourself, or otherwise mislead us or third-parties as to the origin of any comments. You are solely responsible for any comments you make and their accuracy. We take no responsibility and assume no liability for any comments posted by you or any third-party. Please note that there are cases when an order cannot be processed for various reasons. Tulip Hijab reserves the right to refuse or cancel any order for any reason at any given time. You may be asked to provide additional verifications or information, including but not limited to phone number and address, before we accept the order. We are determined to provide the most accurate pricing information; however, errors may still occur. As such, we reserve the right to refuse or cancel any order. In the event that an item is mispriced, we may, at our own discretion, either contact you for instructions or cancel your order and notify you of such cancellation. Any controversy, claim or dispute arising out of or relating to these Terms and Conditions will be referred to and finally settled by private and confidential binding arbitration before a single arbitrator held in Malaysia in English and governed by Malaysian law. The arbitrator shall be a person who is legally trained and who has experience in the information technology field in Malaysia and is independent of either party. Notwithstanding the foregoing, Tulip Hijab reserves the right to pursue the protection of intellectual property rights and confidential information through injunctive or other equitable relief through the courts. 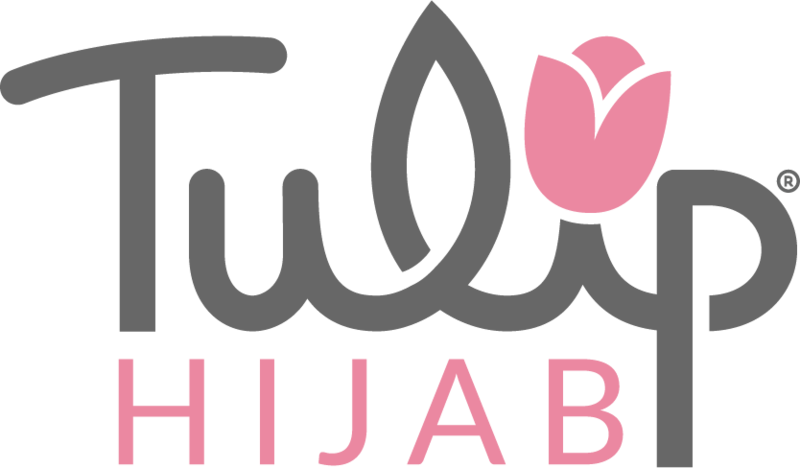 “Tulip Hijab” means Tulip International Sdn Bhd, a company incorporated in Malaysia under registration number 1228773-X and having its registered address at C-11-2, Jalan Serai Wangi L, 16/L Seksyen 16, Alam Avenue 2, 40200 Shah Alam, Selangor. 2.1 Order acceptance and completion of the contract between the Buyer and Tulip Hijab will only be completed upon Tulip Hijab issuing a confirmation of dispatch of the Goods to the Buyer. For the avoidance of doubt, Tulip Hijab shall be entitled to refuse or cancel any order without giving any reasons for the same to the Buyer prior to issue of the confirmation of dispatch. Tulip Hijab shall furthermore be entitled to require the Buyer to furnish Tulip Hijab with contact and other verification information, including but not limited to address, contact numbers prior to issuing a confirmation of dispatch. 2.2 No concluded Contract may be modified or cancelled by the Buyer except with the agreement in writing of Tulip Hijab and on terms that the Buyer shall indemnify Tulip Hijab in full against all loss (including loss of profit) costs (including the cost of all labour and materials used) damages charges and expenses incurred by Tulip Hijab as a result of the modification or cancellation, as the case may be. 2.3 Any changes regarding the details of the order including goods must be done before delivery and depends on the availability of the stocks. In the case of unavailability of the stocks, Buyer have no rights to cancel order or ask for compensation in return, instead Buyer should choose other stocks that are still available. The value of the goods chosen should not be less than the value of the original orders. Any additional cost of changing the order will be borne by the Buyer. 3.1 Buyer is entitled to make payment using booking method with conditions. The price of booking the goods shall be the price stated by Tulip Hijab with maximum of three times installment. Any cancellation of orders will not compensate Buyer regardless of any events. Goods ordered with booking installments will not be delivered to the billing address unless completed. By making the booking payment, the Buyer agreed to the terms and conditions stated. 4.1 The price of the Goods and/or Services shall be the price stated by Tulip Hijab at the time which the Buyer makes its offer purchase to Tulip Hijab. The price may exclude the cost of delivery charges and shall be liable to pay to Tulip Hijab in addition to the price. 5.1 The Buyer shall be entitled to make payment for the Goods pursuant to the various payment methods set out by Tulip Hijab. The terms and conditions applicable to each type of payment, as mentioned by Tulip Hijab, shall be applicable to the Contract. 6.2 Tulip Hijab has the right at any time to sub-contract all or any of its obligations for the sale/delivery of the Goods to any other party as it may from time to time decide without giving notice of the same to the Buyer. 7.2.2 terminate any Contract so affected with immediate effect by written notice to the Buyer and Tulip Hijab shall not be liable for any loss or damage suffered by the Buyer as a result thereof. 8.1 Any notice required or permitted to be given by either party to the other under these Conditions shall be in writing addressed, if to Tulip Hijab, to its registered office or principal place of business and if to the Buyer, to the address stipulated in the relevant offer to purchase. 9.1 Tulip Hijab shall be under no liability whatsoever where this arises from a reason beyond its reasonable control as provided in Condition 6 or from an act or default of the Buyer. 9.2 In no event shall Tulip Hijab be liable for loss of profit or goodwill, loss of production or revenue or any type of special indirect or consequential loss whatsoever (including loss or damage suffered by the Buyer as a result of an action brought by a third party) even if such loss were reasonably foreseeable or Tulip Hijab had been advised of the possibility of the Buyer incurring the same. 10.1 On or at any time after the occurrence of any of the events in condition. 10.2 Tulip Hijab may stop any Goods in transit, suspend further deliveries to the Buyer and exercise its rights and/or terminate the Contract with the Buyer with immediate effect without prior notice to the Buyer. 11.2 No waiver by Tulip Hijab of any breach of the Contract by the Buyer shall be considered as a waiver of any subsequent breach of the same or any other provision. 11.4 Tulip Hijab reserves their rights to these terms and conditions of sale at any time. 6.3 Any dates quoted for delivery of the Goods are approximate only. The time for delivery/performance shall not be of the essence, and Tulip Hijab shall not be liable for any delay in delivery or performance howsoever caused. 6.4 If Tulip Hijab has failed to deliver the Goods within 14 working days, or within a reasonable time, the Buyer shall be entitled, by serving written notice on Tulip Hijab, to demand performance within a specified time thereafter, which shall be at least 14 working days. If Tulip Hijab fails to do so within the specified time, the Buyer shall be entitled to terminate the Contract in respect of the undelivered Goods and claim compensation for actual loss and expense sustained as a result of Tulip Hijab’s non-performance, which was foreseeable at the time of conclusion of the Contract and resulting from the usual course of events.